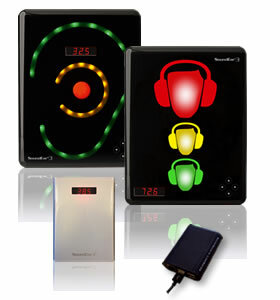 The LNT LiveNoise Interface is for customers who already have SoundEar 3 or SoundEar 3 Industrial noise warning signs, or the SoundEar 3-320 noise processor. 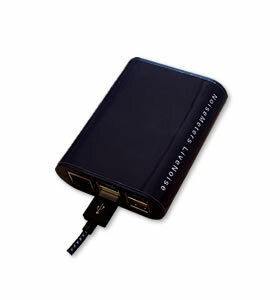 The LNT module is added to your existing SoundEar 3 units to provide data logging, network connection and the ability to display the sound levels on a monitor or TV via its HDMI connection. With the LNT module connected, the system communicates continuously with the LiveNoise Supervisor software to provide real-time noise levels, long-term stored noise measurements and high-noise alarms. The LiveNoise Reporter software can generate reports of the noise and alarms over daily, weekly, monthly or other custom periods. Your existing Noise Warning Sign may already be mounted on the wall or on a VESA mount. The LiveNoise Terminal should be mounted close by using two screws or can just sit on a shelf or other suitable surface. An additional security bracket is also available. Please contact us for more information. A USB cable (included) connects the LiveNoise Terminal to the Noise Warning Sign or Noise Processor. Dimensions 70 x 88 x 29 mm, 28" x 3.5" x 1.2"